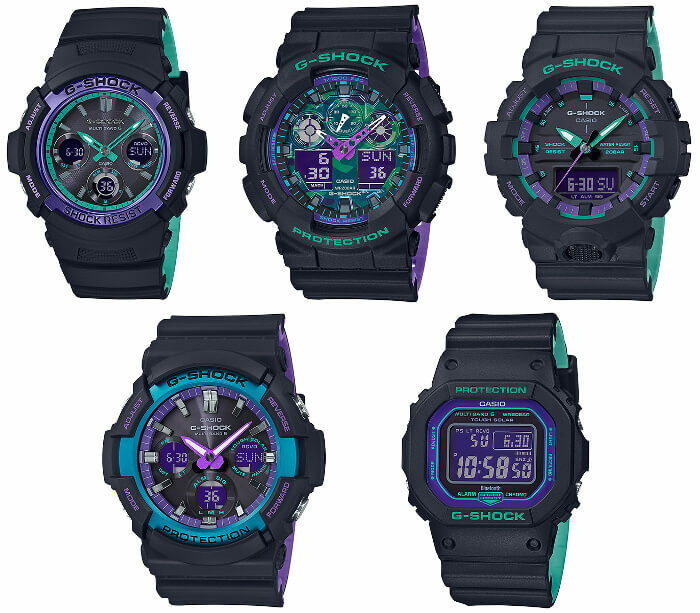 We may be in the Carbon Era but G-Shock is still committed to its colorful retro-style collections as seen with the release of this ’90s-inspired blue and purple accent series (along with the Clear Skeleton Series). The five watches in this collection have black cases with purple accents along with neon-like turquoise and/or blue accents. 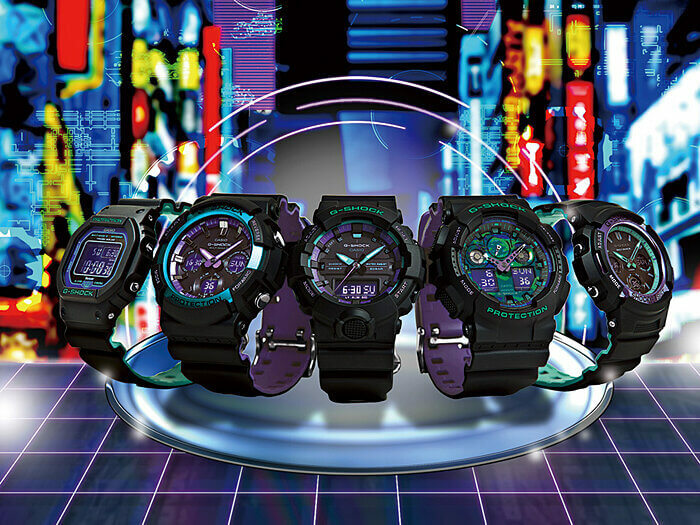 Each watch has a dual-layer resin band with a purple or turquoise inner band color. These five watches will be released in April 2019 in Japan. They will also be released in other Asian countries except for the AWG-M100SBL-1AJF, and the GAS-100BL-1A will take the place of the GAW-100BL-1AJF in those markets. 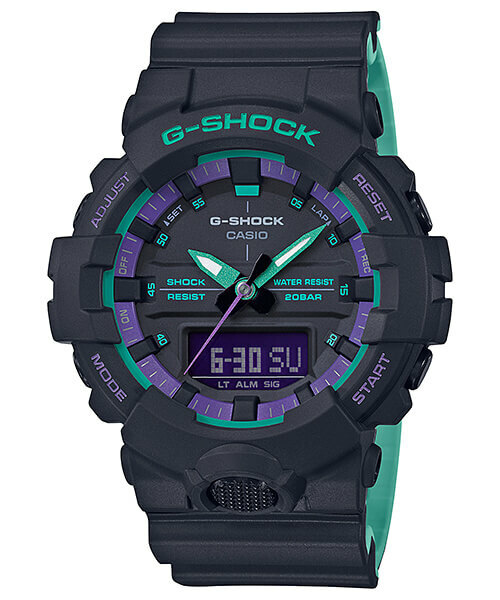 AWG-M100SBL-1AJF: Purple bezel and turquoise inner band. Mid-size analog-digital with Tough Solar and Multi-Band 6. AWG-M100SBL-1AJF list price is 25,000 JPY. 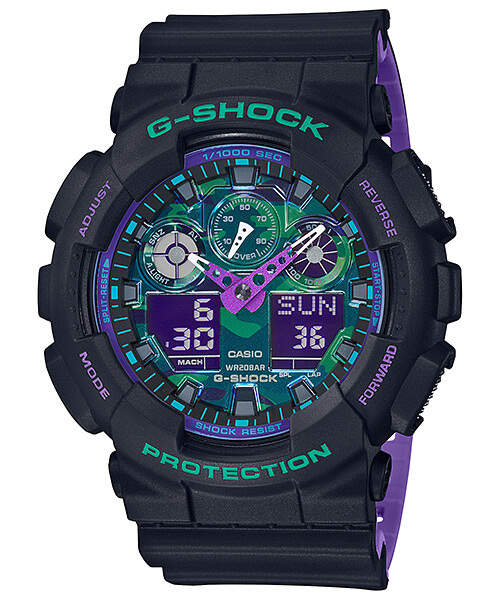 GA-100BL-1A: Camouflage dial and purple inner band. Large analog-digital. GA-100BL-1AJF list price is 16,000 JPY. GA-800BL-1A: Turquoise inner band. Mid-size analog-digital. GA-800BL-1AJF list price is 16,000 JPY. 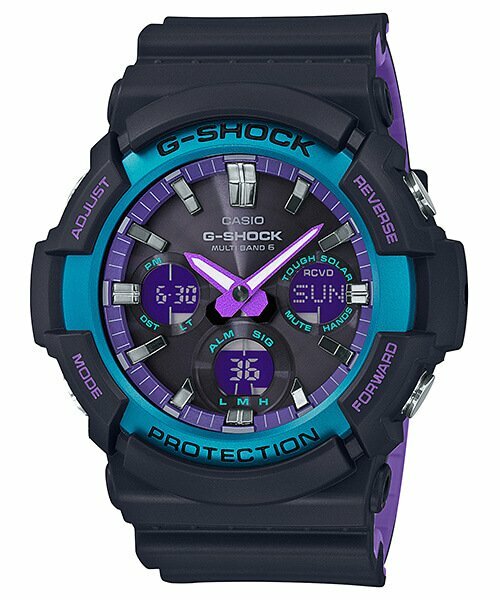 GAW-100BL-1AJF: Blue bezel and purple inner band. Extra-large analog-digital with Tough Solar and Multi-Band 6. GAW-100BL-1AJF list price is 26,000 JPY. The GAS-100BL-1A will be released outside of Japan and has Tough Solar power but not Multi-Band 6 like the GAW-100BL-1AJF. 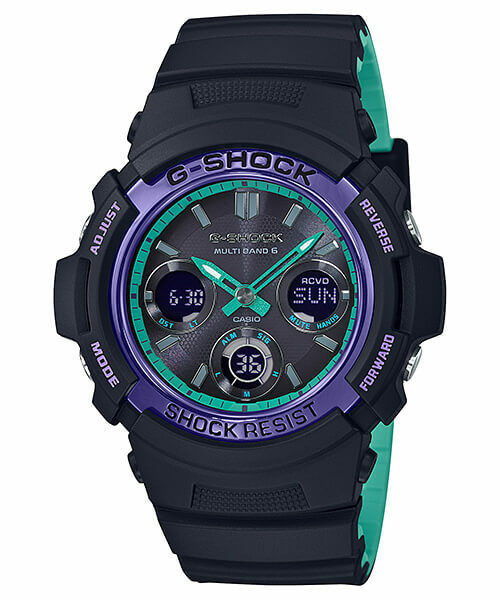 GW-B5600BL-1: Turquoise inner band. Mid-size digital with Tough Solar, Multi-Band 6, and Bluetooth mobile link. 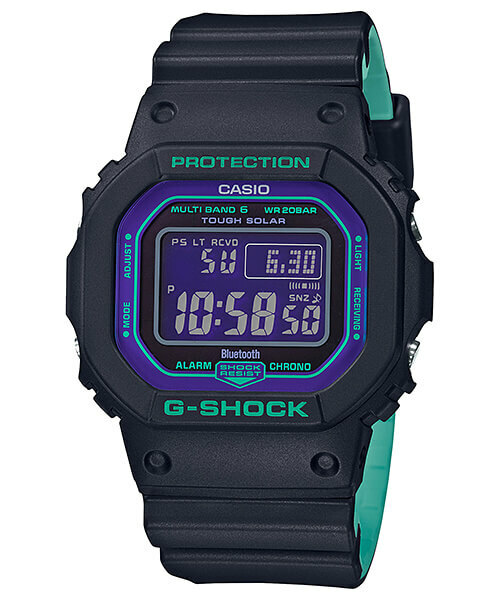 GW-B5600BL-1JF list price is 22,000 JPY.